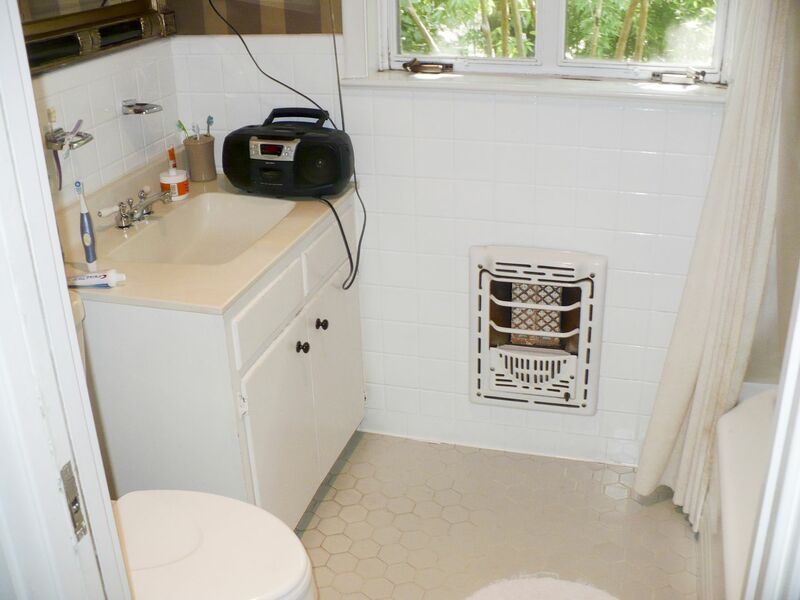 This guest bathroom at the end of a once-dark interior hallway was an eyesore in these clients’ mid-century, traditional ranch-style home. Guests arriving in the entry hall are inevitably afforded a view down this interior hallway—one that terminates at the open door to the bathroom. Since the only natural light into the hall is through the open door of the bath, the renovation focused on making the view of the room beautiful from the entry hall, while bringing in much needed natural light. that they can feel proud of and comfortable presenting to their guests. The new bath is as beautiful and spare as it is elegant and light-filled, and functions equally well as a bathroom for nearby bedrooms as well as guests. Intended as the first phase of an eventual whole-house transformation, finishes and aesthetic selections were critical, as they would be extrapolated at a later date in the remainder of the house. As such, trim details and color, wood species, hardware and stone selections took on great importance. After choosing a modern aesthetic, the owner drove the selection process. The emphasis in the design focused on elemental, rich natural materials—detailed in a crisp, minimal fashion. The renovated bath is positioned in such a way that beautiful elements, including the graciously sized shower and new wood cabinets, are visible while the toilet is tucked out of view around the corner. 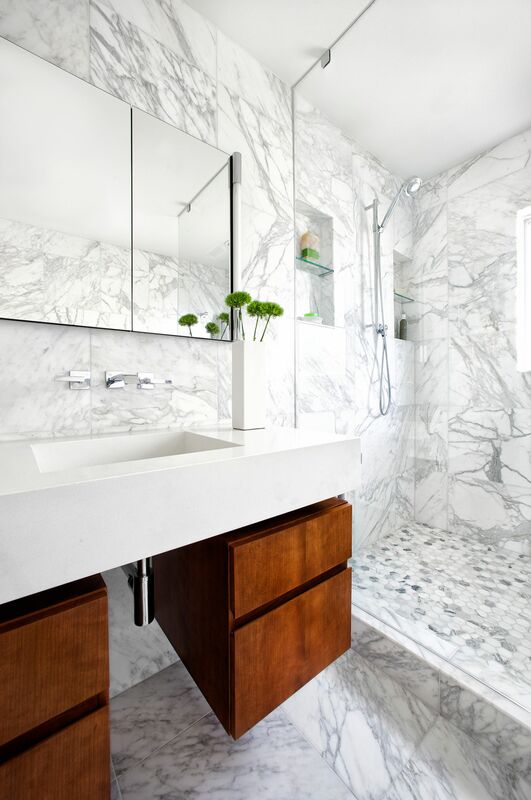 The walls and the floor are finished with light-colored marble tile, refracting natural light throughout the room and into the hallway. a dilemma at the end of the hallway. A cluttered layout made it feel dark and unwelcoming and not ideal for use by the owners or their guests. 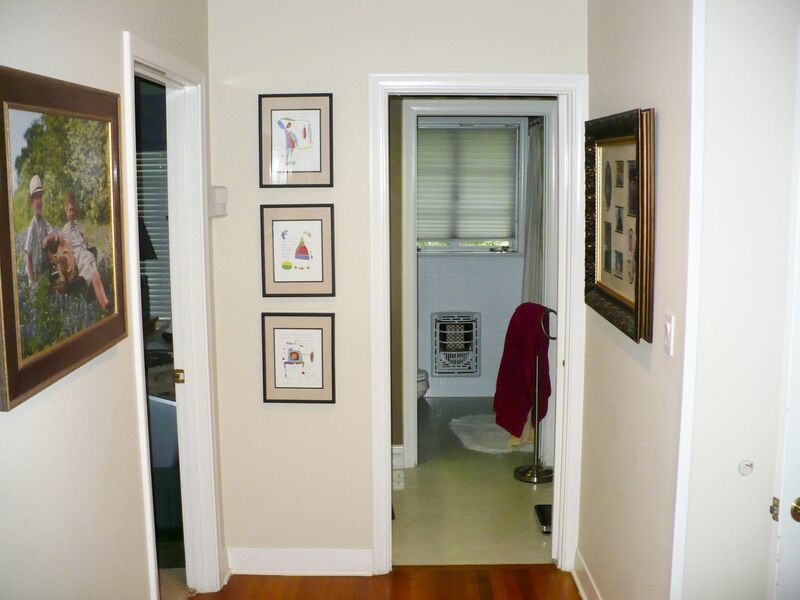 The result is an attractive destination at the end of the interior hallway. Guests in the entry hall now view a light-filled corridor, ending with views into an intriguing room—with glimpses of marble, wood and glass.